This year marked Austin City Limit’s 15th birthday, and we can’t think of a better way for the three-day event to celebrate its quinceañera than with a makeover. This year, a stage that once occupied the middle of Zilker Park was relocated to the southwest corner of the grounds, making it easier for traffic to flow freely between the two main stages (Honda and Samsung). Another big change was that Austin Kiddie Limits, the children’s mini-festival on the grounds, was once a nextdoor neighbor to the Miller Lite Stage which hosted acts like Run The Jewels and Chance the Rapper in previous years. This set up left parents befuddled, so this year’s makeover was exactly what younger music fans needed with performances by School of Rock and KB Whirly. Weekend two kicked off on Friday, and was slammed with countless, incredible rock'n'roll moments. From Tory Lanez crowd-surfing to Foals and AWOLNATION electrifying their fans, the day was one for the books. Other highlights included The Strumbellas’ packed mid-day performance, The Struts showing us that glam rock lives on, Corinne Bailey Rae leaving it all on the stage, and a riotous Die Antwoord performance. 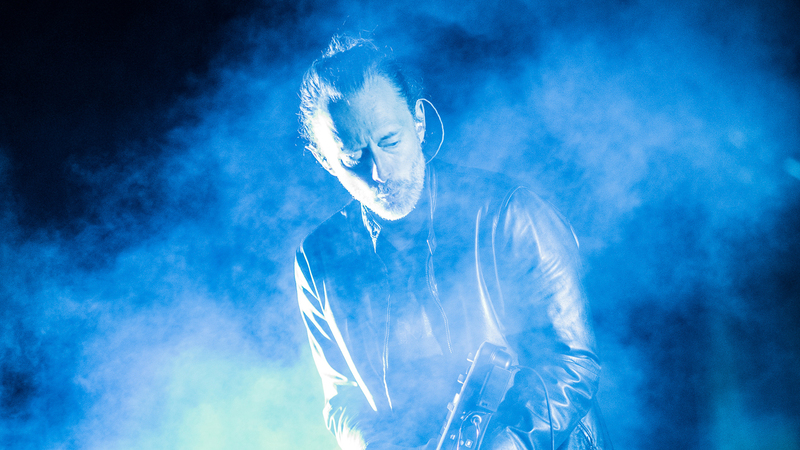 While all of these amazing moments are worth talking about, the moment that overshadowed everything was Radiohead’s Thom Yorke sharing a birthday with ACL. Radiohead opened their set with “Burn the Witch”, but as they made a quick song transition, they were interrupted by the thousands of fans in attendance singing “Happy Birthday” to the astonished frontman. Yorke was humbled and took a bow as he tried to hush the crowd in front of him. It was quite an ovation. Day two kicked off with electronic pop group, Jr Jr handing out designer popsicles to the audience in attendance. Is there a better way to start a Saturday? From there the party didn’t stop. Saint Motel’s set at 2:30 p.m. was an all-out dance-a-thon, Andra Day reminded us why Nina Simone, Ella Fitzgerald, and Billie Holiday’s music is still relevant so many years later, and LL Cool J played hit after hit. But the best performance of the day went to Cage the Elephant, where brothers Matt and Brad Shultz could be found in the crowd for most of the set. Their live set was both electric and hypnotic, which was without a doubt because they captured festival-goers’ imaginations. The band’s showmanship on both weekends could surely bring the dead back to life. Sunday rolled around and reinvigorated us, after almost everyone at the festival was still a little hungover from the day before’s frenzied performance by Cage the Elephant. We were completely cured when Nathaniel Rateliff and the Night Sweats injected some soul into our system. The performances only got more heartfelt from then on. The music world already has its godfather of soul, James Brown, its queen herself, Aretha Franklin, and its screaming eagles of Soul, Charles Bradley—and Sunday introduced us to its patron saint of blue-eyed soul, Mr. Paul Janeway of St. Paul and the Broken Bones. He was by far the best part of this weekend with a charisma that easily won over the crowd of country fans who were waiting for Willie Nelson to grace the stage just after him. LCD Soundsystem was the perfect conclusion to an already incredible weekend. We sang, we danced, we laughed, and we even cried to “Someone Great”. The night couldn’t have ended any better than with “All My Friends”. With its instantly recognizable keyboard staccato riff, we knew the end was near. And when James Murphy’s soulful vocals screamed “Where are your friends tonight?” it rattled every soul at Zilker Park to its core.